Britain’s foreign minister said on Tuesday that he believed the Pakistan state did not direct the Mumbai attacks, contradicting accusations from the Indian government that state agencies were involved. “I have said publicly that I do not believe that the attacks were directed by the Pakistani state and I think it’s important to restate that,” David Miliband told a news conference. India has provided Pakistan data from satellite phones used by the attackers and what it describes as the confession of a surviving gunman, part of a dossier of evidence. Miliband’s statement highlighted differences between India and some Western allies. While India believes that agencies like Pakistan’s military spy agency were involved, diplomats have hinted there is not enough evidence to show this. Miliband said it was clear the attacks originated from Pakistan, and Islamabad had to crack down on the militants operating on its soil, such as Lashkar-e-Taiba (LeT) which has been blamed for the Mumbai attacks. “We are absolutely clear about the origin of the terrorist attack, and the responsibility that exists in Pakistan to bring the perpetrators to justice,” Miliband said. “What is relevant is the approach of the Pakistani state to the LeT organization and the way the Pakistani state takes on the menace of the LeT organization,” he added. 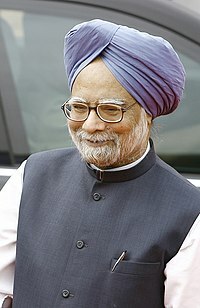 You are currently browsing the archives for the Prime Minister Manmohan Singh category.